A couple of cute amigurumi projects posted around the craft blogosphere in the last week or so and I thought I’d share. Really amazing crochet work. 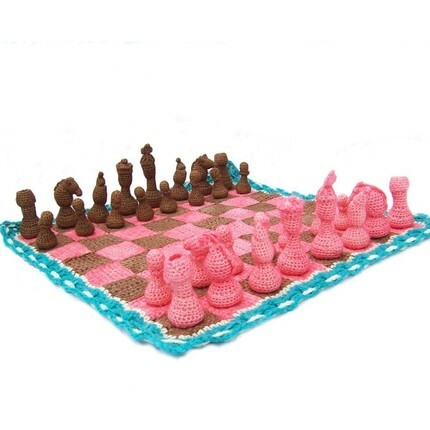 Via Softies Central: Amigurumi chess set by CozyColeman. You can buy the set or just the pattern at her Etsy store. MeekSandyGirl posted this adorable mushroom house amigurumi (made from recycled cashmere yarn) in the Crafter.org forum.